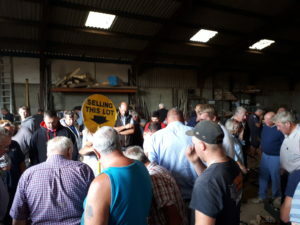 On Wednesday 15th August we held a Complete Farm Dispersal Sale on behalf of the Executor of the Late Mr Chris Murphy. We had a lovely sunny day at Walton, Wellesbourne. 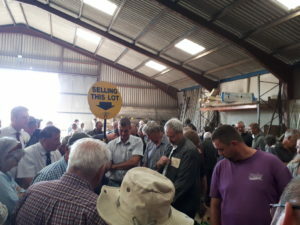 With a total of 750 lots for sale, with some buyers travelling far to attend the sale. 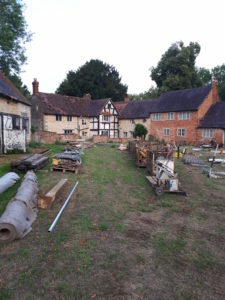 There was a wide range of lots on offer from; tools, wooden planks, wooden beams, building materials, lias stone and staddle stones, through to digger buckers, vehicles, trailers, a tractor, mini digger and excavators. 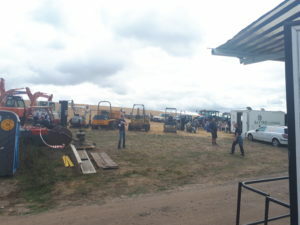 Auctioneer, Scott Ruck commented “A successful sale well supported by locals and buyers from near and far, seeing equipment making top prices for the well looked after and maintained machinery”. 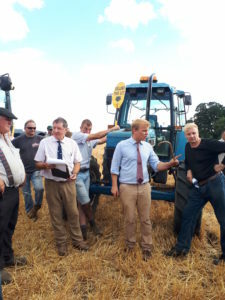 Our next auction will be a Complete Farm Dispersal Sale on Saturday 1st September at Lubenham. The sale catalogue can be viewed here. For details of all our upcoming sales, have a look at our Auctions web page.